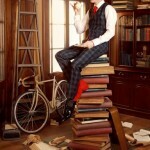 There’s a trend that has been popping up all over the place and it’s about time we write about it! Elephants! 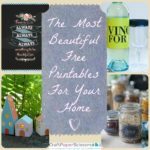 I’ve seen them on scarves, wall art, t-shirts, dining ware and more. We are all aware of the fox trend, the owls, and the increasingly popular hedgehog. But elephants took me by surprise – in a good way. It’s time for these gentle giants take the spotlight in design. That’s why I’ve rounded up just about every elephant themed craft project we have. You’re welcome! These elephants are perfect for kids and adults alike. 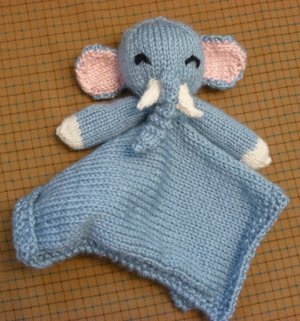 We love that these free crochet patterns all take a slightly different approach to the elephant which makes each one unique! Did you know that a baby elephant is called a calf? 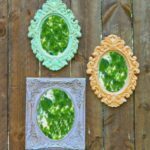 These free DIY projects feature the elephant in so many cute ways. We’re totally loving these free sewing tutorials that hit the elephant trend head on. 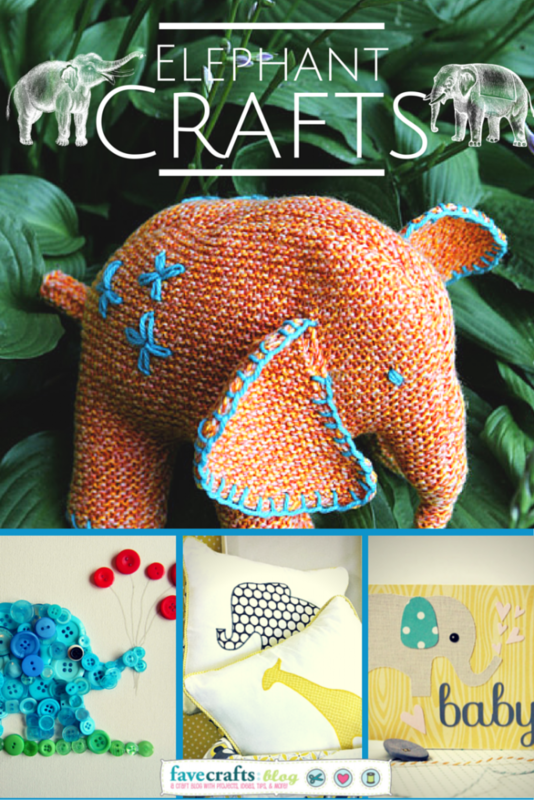 Learn how to sew a pillow featuring elephants and your living room will be so trendy! These free paper crafts are perfect for those who love elephants and want to try their hand at making a little elephant. These are some of the cutest elephants I have ever seen! The best part is that all of these elephants are free knitting patterns. What do you think of the elephant trend? Ever since I woke up at 3 am to watch the royal wedding of Prince William and Catherine Middleton live on TV, I’ve been following their family more closely than a patriotic American probably should. It’s hard to resist this picture-perfect royal family, especially since Will and Kate have welcomed a bouncing baby boy into the world. This jet-setting trio is currently on a tour of Australia, and they took little George to a zoo on Easter Sunday. This highly-publicized getaway got me thinking about all of the animal crafts on the Web. 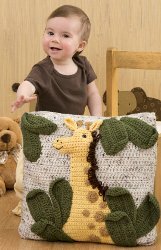 Whether they are knitted, crocheted, sewn, or sculpted, these cute zoo animals make perfect gifts for baby showers. Little George may be used to expensive toys, but I bet that even he would love to cuddle with one of these creatures. Zebra Wall Canvas – Go wild with your home decor! Zebra Print Rings – Perfect party favors! Giraffe Baby Hat and Costume – So precious! Awesome Origami Giraffes – Kid-friendly activity! 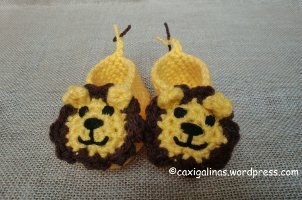 Leonara the Little Lion – Makes a super cute ornament, too! What is your favorite critter to craft? 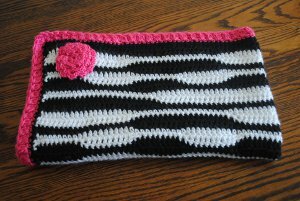 Get a Head Start on those Crochet Christmas Gifts! I know what you’re thinking: “Today is July 2nd. 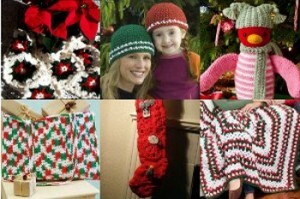 Why is there a crochet Christmas gifts post here from AllFreeChristmasCrafts? Well, I’ll give you an answer . . . in the form of a scenario. It’s the day after Thanksgiving. Black Friday. You shopped from midnight to noon, only stopping to eat, and now you’re home. You’re about to take a nice, long nap. As you snuggle into bed under one of your many crocheted afghans, you are contemplating all of your great steals. You’ve crossed several people off your Christmas list with your big electronic purchases, like that TV for your son or the digital camera for your brother. You probably bought enough toys for your youngest son, and you hit DSW hard when you picked out shoes for each of your sisters. But you didn’t finish shopping for everyone . . . not even in the twelve hours you were out this morning. You forgot that you promised to crochet your neighbor a Christmas Poinsettia Scarf. No big deal; it’ll take less than a day to make one of those crochet Christmas gifts. But what about the Crocheted Holiday Hats? Your sister-in-law begged you to make four of them for your nephews. 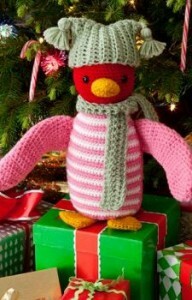 And you absolutely cannot forget the Huggable Penguin for your youngest daughter. She’s been asking for it every day since last Christmas. You had planned to make a couple of those Christmas Crochet Tote Bags for your friends at the office. 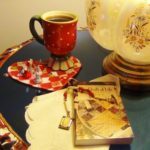 The Christmas mantle could use an update, and you’d wanted to try out this pattern for the Vintage Granny Square Christmas Stocking ever since you stumbled upon it six months ago. And afghans. You have to crochet so many afghans. 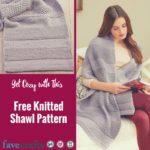 Fortunately, you are not going to be a part of that nightmarish scenario, because we at AllFreeChristmasCrafts.com are here to provide you with great crochet Christmas patterns that you can get started on now! 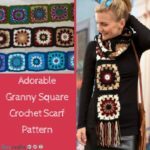 What is your favorite crochet pattern ever? About 35 years ago I made a “Patchwork dog” stuffed animal. I think it was done with the afghan stitch. I can’t find the pattern but I can’t be the only one that ever did it. Please, can you help? Years ago I made brown bag pins; got the idea from Aleen’s Creative Living show. 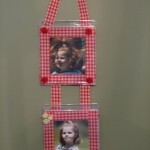 I have not been able to find the directions to this project. I remember it required 3 layers of brown paper bag, but not the rest. We have a mystery in our group that we need answered. Someone gave us a crochet hook that is very unusual. It’s ‘v’ shaped – about 6″ on each side of the ‘v’. on each tip of the ‘v’ is an out-facing c. hook. It is a metal hook, and has NOT been bent into a ‘v’ — looks almost new, and there are NO wrinkles at the curve, suggesting that it’s been bent to the ‘v’ shape. Can you possibly tell us what it is and what it’s used for? As we’ve mentioned previously, there’s a new category on Favecrafts.com made especially for the adorable little crochet critters known as amigurumi! Since it’s such a popular craft project, we thought it only appropriate to shine a spotlight on the little guys! We’ve had a great response from some readers who have taken the time to contribute a project of their own collection to our ever-expanding category of free crochet amigurumi patterns. Diane Buyers for Stormy’z Crochet has several super cute amigurumi patterns, such as Freddy Froggy and Petunia the Turtle that she donated to our readers. 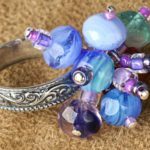 At her web site, she offers several free patterns as well as patterns for sale at her etsy store. 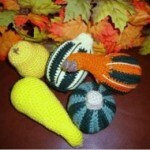 Sherry for Chiwaluv Amigurumi Critters has a wide range of great amigurumi projects like these crochet Indian Corn and Squash and Gourds that are perfect for autumn decorations. 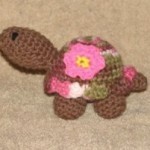 Her etsy store has tons of other creative amigurumi patterns for purchase for every occasion imaginable. We love crochet amigurumi! If you do too, check out more of our favorites!